Over the decades, there has been a strong convergence between cinema and theme parks. Studio executives, filmmakers, and theme park designers are working together in ways that serve to support both the movies and the parks that have rides based on the movies. Historically, the beginning of the convergence of cinema and theme parks became apparent in the late 1970s. Following the decline and eventual fall of the original Hollywood studio system in the 1960s, there are some areas that have changed in the production of films (and other entertainment media). According to Allen Scott of UCLA in the writings of Dr. Ralph Casady (1957), some of the changes and transitions dating back to the 1970s are: (1)The penetration of digital technology into all stages of motion picture production (2)The intensified geographic decentralization of production in the greater LA area (3)The proliferation of new markets based on the cross-promotion of intellectual property rights (4)The increased penetration into themed entertainment and video gaming and (5)The merging of, or buying out of major studios by giant multinational media conglomerates (2001). Along with anti-trust government regulation as a result of the Paramount Decision* and the reluctance of big banks to continue to finance motion pictures, film studios were forced to seek new revenues from other sources. Inside the show building from the former Hitchcock: the Art of Making Movies attraction at Universal Studios Florida. 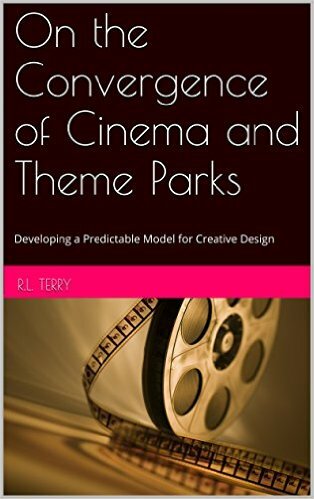 More than ever, filmmakers and attraction designers need to know what the cinema patron and park guest both want in order to create a synergistic and dynamic entertainment experience based on a single narrative. The idea is to generate a similar or complementary emotional response during the themed attraction to that experienced by the movie patron during the respective movie. According to researchers Enrique Bigne, Louisa Audreu, and Juergen Gnoth (2004) of Tourism Management, visitor emotions, in a theme park environment, influence satisfaction and behavioral intentions; and, emotions consist of two independent dimensions: pleasure and arousal (2004). Theme parks are a form of leisure activity because they provide an opportunity for entertainment during an individual’s discretionary time (Milman, 1991). More specifically, movie-based theme parks provide live themed entertainment experiences that immerse the individual into the world of filmmaking or into the narrative itself. As media conglomerates continue to grow and acquire theme park properties (either through the development of new or re-envisioning of old ones) and intellectual property licenses, the popularity of movie-based theme parks will likely continue to grow. The creators of theme park attractions from movies have to keep in mind two areas to communicate through the attraction: (1) selecting elements from the setting, characters, and narrative to translate; (2) Translating the aforementioned elements in a manner which can be communicated in a physical, tangible, multisensory way. Theme parks have traditionally used two models for cinema-based attractions. Examples of these models can be found at the Universal Studios Florida park (Failes, 2014). One model is the behind the scenes of movie-making and the other model is the ‘ride the movie’ concept (“ride the movies” is the original slogan for Universal Studios Parks). The former is traditionally more of a stage show that takes the park guests on a journey through the production process of a movie (i.e. Earthquake: Ride it Out or Hitchcock: The Art of Making Movies). The latter is usually a more conventional amusement ride that involves moving vehicles through the world and characters of the movie, often facing some sort of challenge within the narrative (i.e. 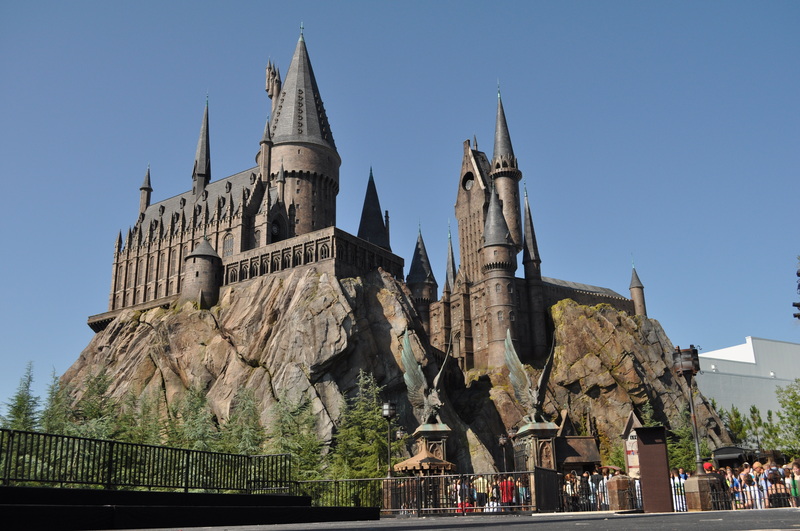 Harry Potter: The Forbidden Journey and StarTours: The Adventure Continues). In recent years, there has been a move from the “behind the scenes” rides/shows to more participatory rides, placing the park guest into the narrative as a de facto character from the movie. * U.S. V. PARAMOUNT PICTURES, INC., 334 U.S. 131 (1948) The US Government forced the eight major/minor studio players to end the practice of block booking (meaning, films would now be sold on an individual basis), divest themselves of their respective theatre chains (sell them off), and modify the practice of long-term employee contracts (though, this would continue until the 1960s). This marked the beginning of the end of the Studio System, AKA Hollywood’s decentralization.